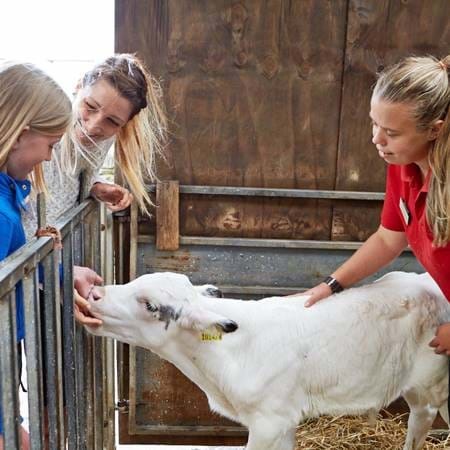 To make the most of your visit to the farmyard, plan your day around our great selection of daily talks, tours and transport for all ages, many of which are free with admission. 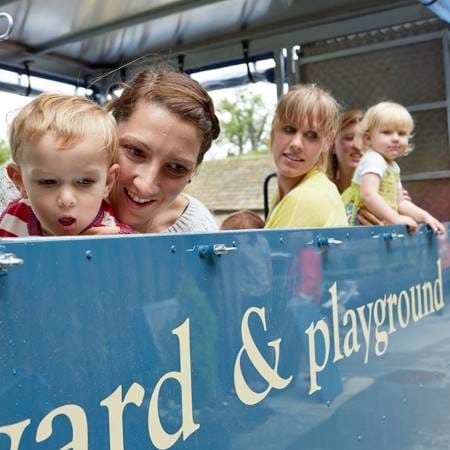 Please note that all events within or beginning in the farmyard require visitors to have paid admission. All activities are subject to cancellation due to weather or circumstances beyond our control. 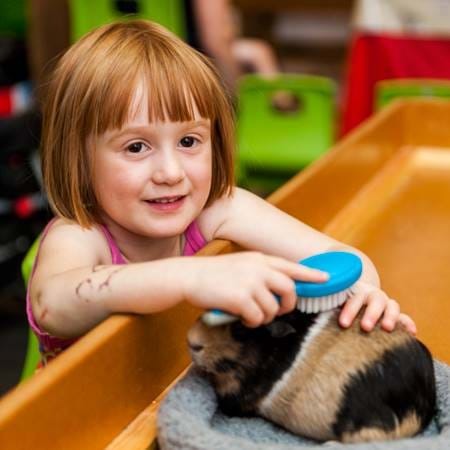 Take some time out to get up close with a few of our smaller furry friends. Meet us in the farmyard on weekends and school holidays for the chance to explore the landscape plus learn a little bit more about the area with commentary suitable for all ages. During some special events including February half-term and Halloween, they're themed as well! Trailer discovery tours are accessible to wheelchair users. To book a wheelchair onto a tour, please call 01246 583139 in advance of your visit. 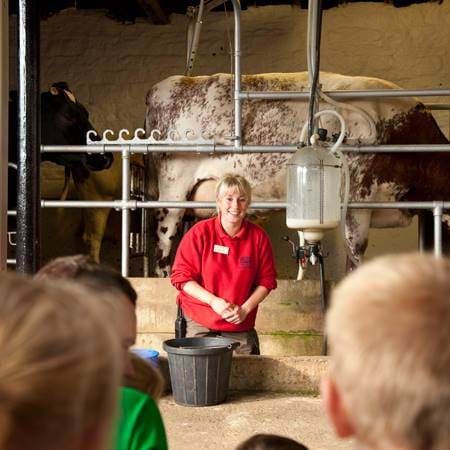 You can see our cows being milked almost every day until the end of October. Fun and educational – it's a great way for little ones to learn about where their favourite drink comes from. 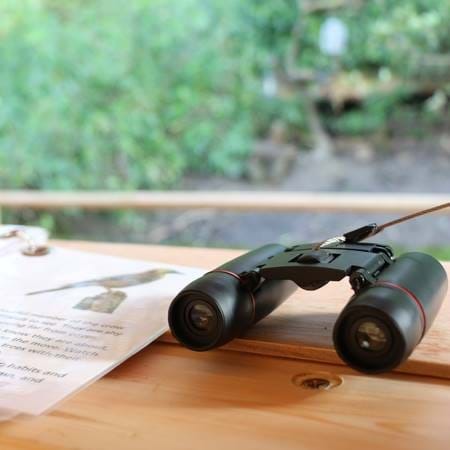 Take time out from the hustle and bustle to enjoy the wide variety of birds that visit the area. You can handle all sorts of cuddly farm creatures here, three times a day. 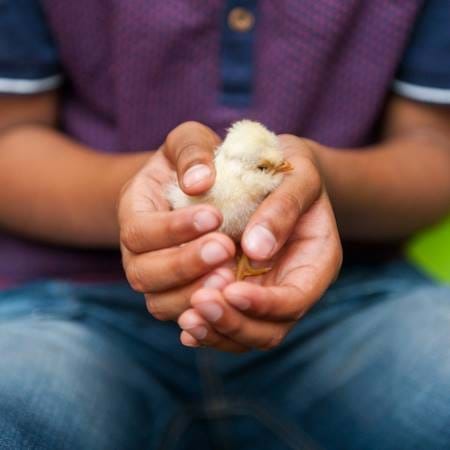 There's no better way to get up close and personal with our chicks, lambs and goat kids (in season). 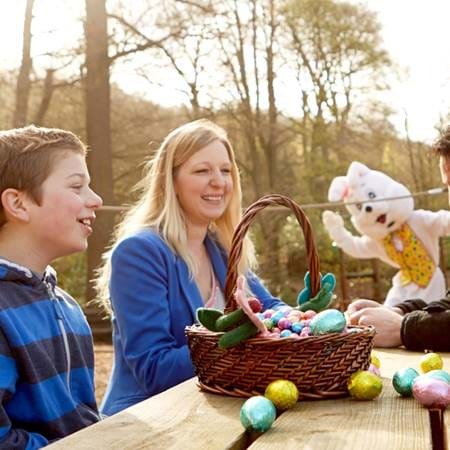 There's even more to fun for all the family in the farmyard during the Easter school holidays.